Published Articles: Why go to church twice on Sundays? Such people are often unbelievers but plenty of men and women who profess faith in Christ almost never think of coming along to church twice on the Lord’s Day, even though there are always two meetings and they are well able to come to both. The idea of coming twice on the Lord’s Day is a form of fanaticism they dare not contemplate. When I was converted as a teenager no-one told me to come to both Sunday meetings I just assumed it was the right thing to do. Not everyone finds it so simple. What arguments might induce them to come more often? Therefore all healthy believers will want to be at both. At church the Word of God is read and expounded, the sacraments of the Lord’s Supper and baptism are often administered, there is prayer and praise and fellowship. All these are means of receiving blessing from God. How odd that any serious believer should deliberately throw up half the opportunities they have for such things each Lord’s Day. Hebrews 10:25 shows us that there were problems with attendance even in the earliest days. However, the writer urges his readers not to give up meeting together as some have done but to do so more and more as you see the Day approaching. The nearer we get to the Day of Judgment and the Lord’s Return the more eager we ought to be to meet with God’s people. Christians certainly differ in their understanding of the Lord’s Day but there is a general recognition that Sunday should be different, separate from the other days of the week. Surely this should be so not merely of part of the day but of the whole day. If you properly prepare yourself for and properly take part in the two meetings, you will find that most of your day has been wisely filled. 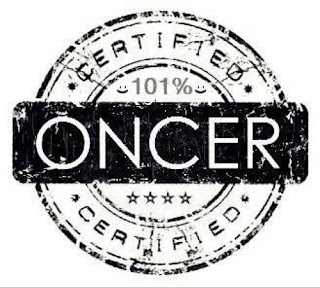 One sometimes wonders what Oncers do with the rest of their day. Failure to attend both may create an imbalance. 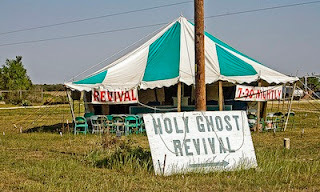 In many places one meeting is features teaching for ‘saints’ and the other a gospel message for ‘sinners’. Anyone receiving only one of these is getting an imbalanced diet. Even where this is not strictly followed there is usually a commitment to expository preaching morning and evening. Rarely will a minister preach on a book of the Bible in the later meeting that he has already expounded in the morning and vice-versa. Oncers are likely never to hear some parts of Scripture expounded even though a little effort would give them the opportunity. Listening to the message on tape is hardly the same thing as being there under the Word and worshipping with the people. Perhaps it is the word ‘Service’ that gives the wrong impression. Undoubtedly some look on the church as providing a service for the public’s convenience. Services at different times of the day mean that one can come when it best suits. If you are a late riser or you like to have an elaborate Sunday lunch, fear not, you can always catch ‘the late show’. Or if you like to stop in on Sunday evenings watching TV or you go to see friends or family after lunch ‘the first sitting’ should be enough to keep you up to the mark. Full involvement in all the meetings of the Lord’s people should help to dispel that sort of consumer mentality which does so much harm to Christians. I have a friend whose church has such a large number of Oncers some the morning sort and some the evening type. Thus the morning and evening congregations are quite different. Some never meet even though they go to the same church and hear the same men preach! While Oncers continue to exist the only way to know all those who attend the same place of worship you cannot do the same. The super-spiritual will reply that they do not come to church to please men but to please God. However, in Hebrews 10:25 the writer has no embarrassment in urging the people to meet more often in order to encourage one another. What an encouragement it might be, under God, if you decided to give up your lie in, your walk in the countryside, your cosy evenings in or whatever and started coming twice on Sundays. It will do you some good too if you stay humble. What about it?